The Physics of Information and Quantum Technologies Group is located in the 10th floor of Torre Norte [North Tower], in the campus of Instituto Superior Técnico (IST), in Lisbon, Portugal. Once you walk into the building, take a few steps down to get the elevator on floor 0. Take the elevator to the 10th floor. After leaving the elevator, to access Instituto de Telecomunicações (IT), ring the bell located to the right of the glass doors. Closest subway stations: Saldanha (exit "Arco do Cego") and Alameda, both on the Red Line, directly connected to the airport. By taxi: indicate the entrance of Instituto Superior Técnico in Av. 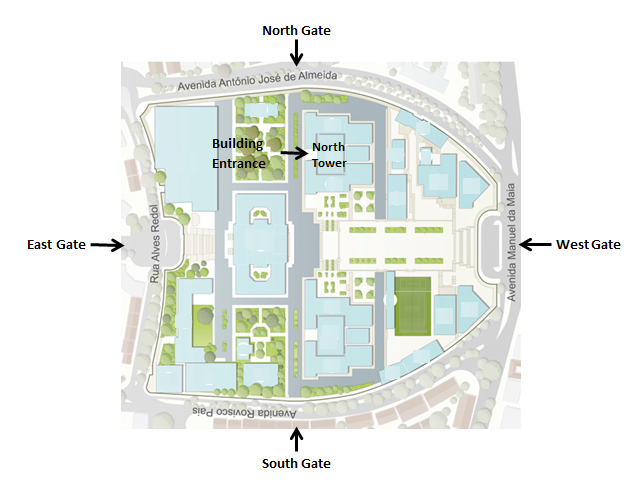 António José de Almeida as the destination (North gate on campus map).